There are new improvements to the Films on Demand (FOD) platform as they have just introduced a new feature that allows all users to create their own unique Custom Segments. Users can use the new custom segment tool to identify the start and end times and provide a title and description for a new segment that they create from any video that is part of their collection. For detailed instructions on creating custom segments as well as other FOD database features, please click here. Were you trying to get microdata from Equinox? UoWO was having a problem with their SQL database which made the microdata retrieval unavailable. The service has returned to normal. 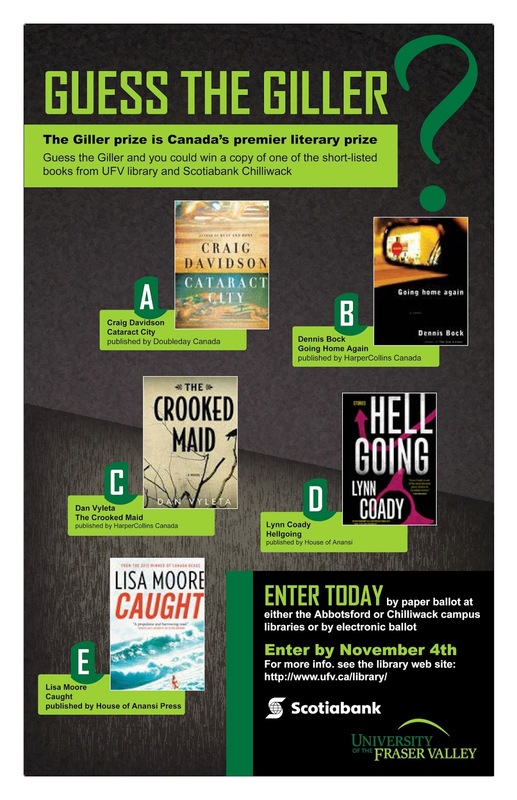 Enter UFV Library and Chilliwack Scotiabank’s Guess the Giller contest. 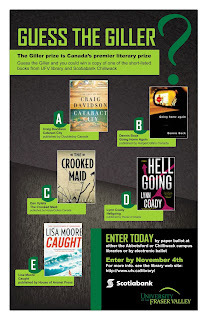 Guess the Giller and you could win a copy of one of the shortlisted books from Chilliwack Scotiabank and UFV Library. The Scotiabank Gillier is Canada's premier literary prize. Founded in 1994 to honour journalist Doris Giller, the Giller prize teamed up with Scotiabank in 2005. The prize is now worth $70,000 to the winning author. Past winners have included Will Ferguson for 419, Esi Edugyan for Half-Bood Blues, Johanna Skibsrud for The Sentimentalists, Linden MacIntyre for The Bishop's Man, Joseph Boyden for Through Black Spruce and Elizabeth Hay for Late Nights on Air. This year's Giller prize will be awarded November 5 in Toronto. We're giving away one copy each of the short-listed books to members of the UFV community who guess the Giller. Enter by paper ballot in the library or this online survey by Monday, November 4. Correct answers are not necessary. Prizes will be awarded by random draw. NOTE: The contest is now closed. Stay tuned for more information on our winners. This is a reminder that it is always important to keep a close eye on your valuables while you are in the library (and probably other parts of campus). Unfortunately, there are people among us who think it is okay to take what doesn't belong to them. Recently a cell phone and a textbook were stolen. In the past, laptops and wallets have been stolen. Do NOT leave your valuables unattended! The library staff all wish you a wonderful Thanksgiving weekend. Both the Chilliwack and Abbotsford libraries will be closed on Monday, October 14th. However, the library catalog and databases will be available, as usual, through our webpage. It was announced today that Canadian author Alice Munro was awarded the 2013 Nobel Prize in Literature. She is the first Canadian-based writer and only the 13th woman of any nationality to win the award. The UFV Library has numerous resources related to Alice Munro including her works, biographical material, and literary criticism. Be sure to check the library catalog or the literature databases if you want to learn more! Also, be sure to check out the library's display of her works. Do you have a coursepack or post materials to BB Learn? 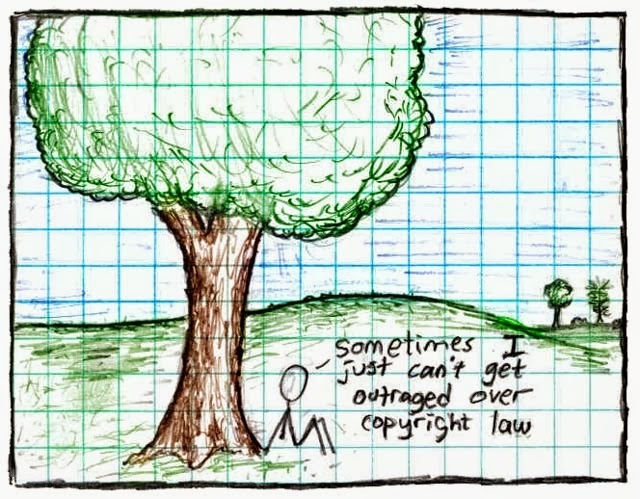 Do you have questions about the new copyright guidelines? 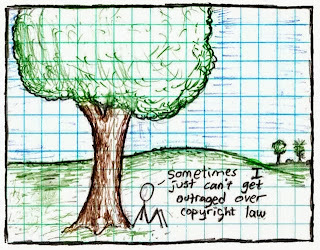 Drop by a Copyright Clinic and work through your questions with your Copyright Librarian. Bring your course lists, websites or other work you need guidance on. Farrah Little, our new Copyright Librarian, comes to us from the Justice Institute of BC, where she was the Copyright and Reference Librarian. There she implemented and managed the Institute’s copyright education and compliance program, created educational materials on copyright, lead copyright workshops, advised faculty and staff on copyright, and implemented the ARES Course Reserves system. She also has experience providing instruction and reference services at the JIBC, VPL, and UBC, and is an experienced webmaster. Farrah has a MLIS from UBC, as well as a BA with a major in Spanish Language & Literature, and a minor in Economics from UBC. As a true Librarian, she loves cats and books. She also enjoys traveling the world. If you have any questions regarding copyright, or would like to arrange an individual or group meeting, please do not hesitate to contact her at farrah.little@ufv.ca, or call 604.504.7441 (local 4460). Office hours are Monday to Wednesday 8 am – 4 pm.